The NAVSYS’ InterNav Software has been integrated into FLIR Systems’ Star SAFIRE airborne electro-optic imaging system. It provides the geopointing capability within Star SAFIRE that allows the image to be stabilized on a particular coordinate. 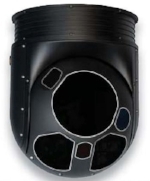 The improved stabilization allows the Star SAFIRE product to operate with extremely narrow fields of view.